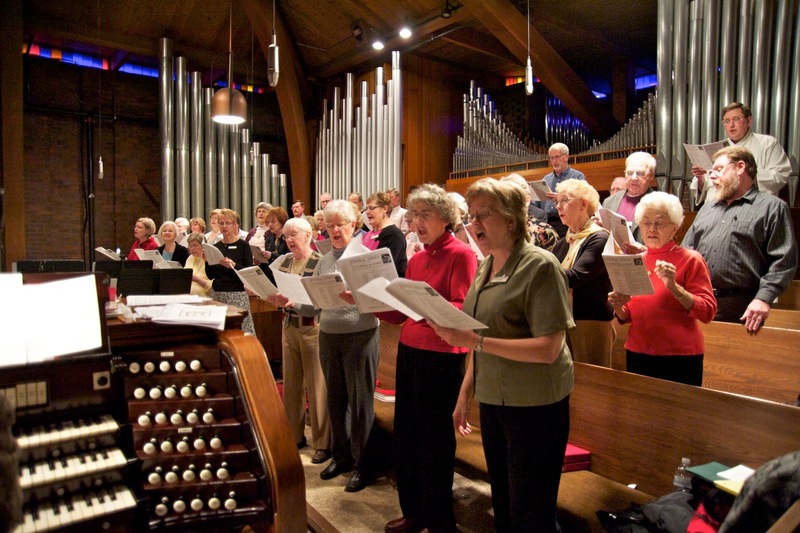 Each Sunday, September through June, our Gloria Dei Choir blesses us with beautiful music during the 11:00 service. The choir occasionally sings at the 8:00 and 9:00 services as well. Singers experience a wide variety of music styles and genres. All singers, ninth grade through adults are more than welcome to join. Rehearsals are filled with joy and laughter along with hard work – and the potlucks are legendary! Rehearsals are on Wednesdays, from 7:00 – 8:30 p.m. in the balcony. New members are always welcome! The Gloria Dei Choir is under the direction of Dan Colgan.